Caren is a licensed Real Estate Broker working in the Triangle, NC area. Caren relocated to the Raleigh/Durham area in 2011 from South Florida. She understands the stress of finding a new home, selling an old one, being a landlord and a tenant. Whether buying, selling, investing or renting, Caren can help you every step of the way. 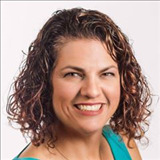 Caren specializes in social media and marketing to get the best results for her clients. Prior to becoming a Realtor, Caren spent 17 years in the banking industry. She worked in both the commercial and consumer finance arenas. This provides her with the competitive advantage of thoroughly understanding the finance process and making sure her clients have the right mortgage. It also provides her clients the opportunity to get the best market analysis there is to offer. Caren is also involved in the community. She is the Treasurer for a local Cub Scout Pack and is actively involved in her children’s schools.